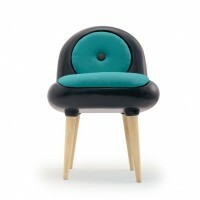 Spanish designer Javier Alejandre has created the Oddbod Chair. 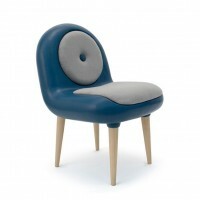 The chair plays at the boundary between an inert object such as a chair and to give life to this object. The formal inspiration are the weird sci-fi movies of the mid-twentieth century design and retrofuturistic organic design tendences. 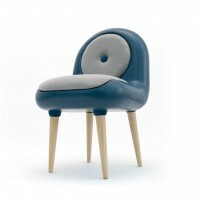 It´s made in rotomoulded PET and pine legs. Visit Javier Alejandre’s website – here.